Tessa set the book she had been reading down on the bedside table, and turned to see Miranda standing in the doorway of her small room—just as she did at this time every day, delivering the same message she delivered every day. In a moment Tessa would ask her to wait in the corridor, and Miranda would leave the room. Ten minutes later she’d return and say the same thing again. If Tessa didn’t come obediently after a few of these attempts, Miranda would seize her and drag her, kicking and screaming, down the stairs to the hot, stinking room where the Dark Sisters waited. It had happened every day of the first week that Tessa had been in the Dark House, as she had come to call the place they kept her prisoner, until eventually Tessa had realized that the screaming and kicking didn’t do much good and simply wasted her energy. Energy that was probably better saved for other things. “One moment, Miranda,” Tessa said. The maid bobbed an awkward curtsy and went out of the room, shutting the door behind her. Tessa rose to her feet, glancing around the small room that had been her prison cell for six weeks. It was small, with flowered wallpaper, and sparsely furnished—a plain deal table with a white lace cloth over it where she ate her meals; the narrow brass bed where she slept; the cracked washstand and porcelain jug for her ablutions; the windowsill where she stacked her books, and the small chair where she sat each night and wrote letters to her brother—letters she knew she could never send, letters she kept hidden under her mattress where the Dark Sisters would not find them. It was her way of keeping a diary and of assuring herself, somehow, that she would see Nate again someday and be able to give them to him. She crossed the room to the mirror that hung against the far wall, and smoothed down her hair. The Dark Sisters, as they in fact seemed to wish to be called, preferred her not to look messy, although they didn’t appear to mind her appearance one way or the other past that—which was fortunate, because her reflection made her wince. There was the pale oval of her face dominated by hollow gray eyes—a shadowed face without color in its cheeks or hope in its expression. She wore the unflattering black schoolmarmish dress that the Sisters had given her once she’d arrived; her trunk had never followed her, despite their promises, and this was now the only piece of clothing she owned. She looked away quickly. She hadn’t always flinched from her reflection. Nate, with his fair good looks, was the one in the family generally agreed to have inherited her mother’s beauty, but Tessa had always been perfectly content with her own smooth brown hair and steady gray eyes. Jane Eyre had had brown hair, and plenty of other heroines besides. And it wasn’t so bad being tall, either—taller than most of the boys her own age, it was true, but Aunt Harriet had always said that as long as a tall woman carried herself well, she would forever look regal. She didn’t look regal now, though. She looked pinched and bedraggled and altogether like a frightened scarecrow. She wondered if Nate would even recognize her if he saw her today. At that thought her heart seemed to shrink inside her chest. Nate. He was the one she was doing all this for, but sometimes she missed him so much it felt like she’d swallowed broken glass. Without him, she was completely alone in the world. There was no one at all for her. No one in the world who cared whether she lived or died. Sometimes the horror of that thought threatened to overwhelm her and plunge her down into a bottomless darkness from which there would be no return. If no one in the entire world cared about you, did you really exist at all? The click of the lock cut her thoughts off abruptly. The door opened; Miranda stood on the threshold. Tessa looked at her in distaste. She couldn’t guess how old Miranda was. Nineteen? Twenty-five? There was something ageless about her smooth round face. Her hair was the color of ditch water, pulled back harshly behind her ears. Exactly like the Dark Sisters’ coachman, she had eyes that protruded like a frog’s and made her look like she was permanently surprised. Tessa thought they must be related. As they went downstairs together, Miranda marching along with her graceless, clipped gait, Tessa raised her hand to touch the chain around her throat where the clockwork angel hung. It was habit—something she did each time she was forced to see the Dark Sisters. Somehow the feel of the pendant around her neck reassured her. She kept hold of it as they passed landing after landing. There were several levels of corridors to the Dark House, though Tessa had seen nothing of it but the Dark Sisters’ chambers, the halls and stairs, and her own room. Finally they reached the shadowed cellar. It was dank down here, the walls clammy with unpleasant moisture, though apparently the Sisters didn’t mind. Their office was ahead, through a set of wide double doors. A narrow corridor led away in the other direction, vanishing into darkness; Tessa had no idea what lay down that hallway, but something about the thickness of the shadows made her glad she had never found out. The doors to the Sisters’ office were open. Miranda didn’t hesitate, but clomped inside, Tessa following after her with great reluctance. She hated this room more than any other place on earth. To begin with, it was always hot and wet inside, like a swamp, even when the skies outside were gray and rainy. The walls seemed to seep moisture, and the upholstery on the seats and sofas was always blooming with mold. It smelled strange as well, like the banks of the Hudson on a hot day: water and garbage and silt. The Sisters were already there, as they always were, seated behind their enormous raised desk. They were their usual colorful selves, Mrs. Black in a dress of vibrant salmon pink and Mrs. Dark in a gown of peacock blue. Above the brilliantly colored satins, their faces were like deflated gray balloons. They both wore gloves despite how hot the room was. Expressionless, Miranda did as asked. Tessa tried not to wince as the door shut behind her, closing off what little breeze there was in this airless place. She held something out: a dilapidated bit of pink fabric tied in a bow, the sort that might be used as a girl’s hair ribbon. She was used to being handed things by the Dark Sisters now. Things that had once belonged to people: tie pins and watches, mourning jewelry, and children’s toys. Once the laces of a boot; once a single earring, stained with blood. Tessa took the bow. It lay in her hand, as light as a moth’s wing, and the Dark Sisters stared impassively at her. She remembered books she had read, novels in which characters were on trial, standing quaking in the dock at the Old Bailey and praying for a verdict of not guilty. She often felt she was on trial herself in this room, without knowing of what crime she stood accused. She turned the bow over in her hand, remembering the first time the Dark Sisters had handed an object to her—a woman’s glove, with pearl buttons at the wrist. They had shouted at her to Change, had slapped her and shaken her as she’d told them over and over again with rising hysteria that she had no idea what they were talking about, no idea what they were asking her to do. She hadn’t cried, even though she’d wanted to. Tessa hated to cry, especially in front of people she didn’t trust. And of the only two people in the world she trusted, one was dead and the other imprisoned. They had told her that, the Dark Sisters, had told her that they had Nate, and if she didn’t do what they said, he would die. They’d showed her his ring, the one that had been her father’s—stained with blood now—to prove it. They hadn’t let her hold it or touch it, had snatched it back as she’d reached for it, but she’d recognized it. It was Nate’s. After that she had done everything they’d asked. Had drunk the potions they’d given her, done the hours of agonizing exercises, forced herself to think the way they wanted her to. They’d told her to imagine herself as clay, being shaped and molded on the potter’s wheel, her form amorphous and changeable. They’d told her to reach down into the objects they’d given her, to imagine them as living things, and to draw out the spirit that animated them. That evening when Tessa had gone up to her room, there had been gifts for her, two new books on her bedside table. Somehow the Dark Sisters had realized that reading and novels were Tessa’s passion. There was a copy of Great Expectations and—of all things—Little Women. Tessa had hugged the books to herself and, alone and unwatched in her room, had let herself cry. It had grown easier since then, the Changing. Tessa still didn’t understand what happened inside her to make it possible, but she had memorized the series of steps the Dark Sisters had taught her, the way a blind person might memorize the number of paces it takes to walk from their bed to the door of their room. She didn’t know what was around her in the strange dark place they asked her to journey to, but she knew the pathway through it. She drew on those memories now, tightening her grip on the ragged bit of pink fabric she held. She opened her mind and let the darkness come down, let the connection that bound her to the hair ribbon and the spirit inside it—the ghostly echo of the person who had once owned it—unravel like a golden thread leading through the shadows. The room she was in, the oppressive heat, the noisy breathing of the Dark Sisters, all of it fell away as she followed the thread, as the light grew more intense around her and she wrapped herself in it as if she were wrapping herself in a blanket. Her skin began to tingle and to sting with thousands of tiny shocks. This had been the worst part, once—the part that had convinced her she was dying. Now she was used to it, and bore it stoically as she shuddered all over, from her scalp to her toes. 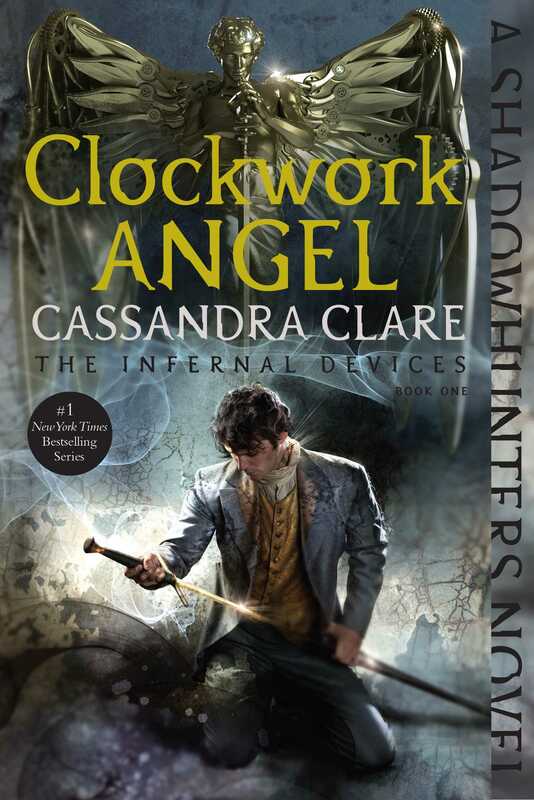 The clockwork angel around her throat seemed to tick faster, as if in rhythm with her speeding heart. The pressure inside her skin built—Tessa gasped—and her eyes, which had been closed, flew open as the sensation built to a crescendo—and then vanished. Tessa blinked dizzily. The first moment after a Change was always like blinking water out of your eyes after submerging yourself in a bath. She looked down at herself. Her new body was slight, almost frail, and the fabric of her dress hung loose, pooling on the floor at her feet. Her hands, clasped in front of her, were pale and thin, with chapped tips and bitten nails. Unfamiliar, alien hands. “What is your name?” Mrs. Black demanded. She had risen to her feet and was looking down at Tessa with her pale eyes burning. She looked almost hungry. The voice replied, words tumbling out of Tessa’s mouth, bringing strong images with them. Born in Cheapside, Emma had been one of six children. Her father was dead, and her mother sold peppermint water from a cart in the East End. Emma had learned to sew to bring in money when she was still a small child. Nights, she spent sitting at the little table in her kitchen, sewing seams by the light of a tallow candle. Sometimes, when the candle burned down and there was no money for another, she would go out into the streets and sit below one of the municipal gas lamps, using its light to sew by. . . .
“Is that what you were doing out on the street the night you died, Emma Bayliss?” asked Mrs. Dark. She was smiling thinly now, running her tongue over her lower lip, as if she could sense what the answer would be. The Change shattered like glass. With a cry Tessa fell to her knees, the torn little bow falling from her hand. It was her hand again—Emma had gone, like a cast-off skin. Tessa was once more alone inside her own mind. Tessa said nothing. The front of her dress was splotched with blood, but there was no pain. She knew it was not her blood; it wasn’t the first time this had happened. She closed her eyes, spinning in the darkness, willing herself not to faint. Tessa knew immediately what they were talking about. Weeks ago she had Changed into a woman who had died of a gunshot wound to the heart; blood had poured down her dress and she had Changed back immediately, screaming in hysterical terror until the Sisters had made her see that she herself was unharmed. “Oh, absolutely, my dear sister. She’s as ready as she’ll ever be. It’s time for our Theresa to meet her master.” There was a gloating note in Mrs. Dark’s voice, a sound so unpleasant that it cut through Tessa’s blinding dizziness. What were they talking about? Who was the Magister? She watched through lowered eyelashes as Mrs. Dark jerked the silk bellpull that would summon Miranda to come and take Tessa back to her room. It appeared that the lesson was over for today. Mrs. Black, following her sister, muttered a response that was cut short as the door opened and Miranda came in. She wore the same dull look as ever. The sight of Tessa crouched and bloody on the floor seemed to occasion no surprise in her. Then again, Tessa thought, she had probably seen far worse in this room. “The things . . . you showed me?” Miranda sounded blank. Make her look pretty. But what did they care whether she looked pretty or not, when they could force her to look any way they wanted? What did it matter what her true appearance was? And why would the Magister care? Though, it was very clear from the Sisters’ behavior that they believed he would. She let the door bang shut behind her. Tessa flinched at the noise, but Miranda, as always, seemed utterly unaffected. In all the time that she had passed in the Dark House, Tessa had never been able to startle the other girl, or surprise an unguarded expression out of her. Tessa rose to her feet, slowly. Her mind was whirling. Her life in the Dark House had been horrible, but she had—she realized now—grown almost used to it. She had known what to expect each day. She had known the Dark Sisters were preparing her for something, but she had not known what that something was. She had believed—naively, perhaps—that they wouldn’t kill her. Why waste all this training on her if she was only going to die? But something in Mrs. Dark’s gloating tone gave her pause. Something had changed. They had achieved what they wanted with her. They were going to be “paid.” But who was going to do the paying? With a strength she didn’t know she possessed, Tessa seized the base of the brass globe on the desk, lifted it, and swung it with all her might at Miranda’s head. It connected with a sickening sound. 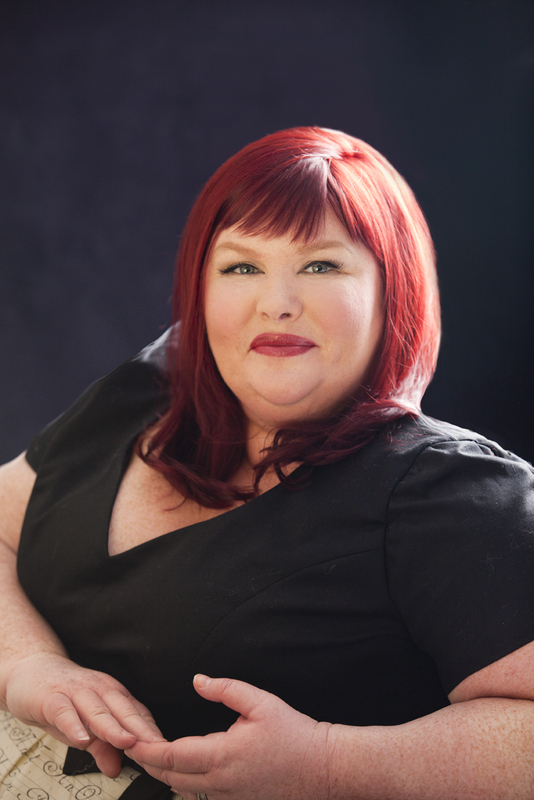 Miranda reeled back—and then straightened. Tessa shrieked and dropped the globe, staring—the whole left side of Miranda’s face was crushed in, like a paper mask that had been smashed flat on one side. Her cheekbone was flattened, her lip mashed against her teeth. But there was no blood, no blood at all. “You must come with me now,” Miranda said, in the same flat tone she always used. “You must come—you m-must—you—you—you—yyyyyyyyyyyyy—” Miranda’s voice shuddered and broke, degenerating into a stream of gibberish. She moved toward Tessa, then jerked to the side, twitching and stumbling. Tessa turned from the desk and began to back away as the injured girl spun, faster and faster. She reeled across the room like a staggering drunk, still shrieking, and crashed into the far wall—which seemed to stun her. She collapsed to the ground and lay still. Tessa raced to the door and out into the corridor beyond, pausing only once, just outside the room, to look back. It seemed, in that brief moment, as if a thread of black smoke were rising from Miranda’s prone body, but there was no time to stare. Tessa darted down the hall, leaving the door hanging open behind her. She dashed for the stairs and hurtled up them, nearly tripping over her skirts and banging her knee painfully on one of the steps. She cried out and scrambled on, up to the first landing, where she dashed into the corridor. It stretched out ahead of her, long and curving, disappearing into shadows. As she raced down it, she saw that it was lined with doors. She paused and tried one, but it was locked, and so was the next one, and the next after that. Another set of stairs led down at the end of the hallway. Tessa raced down them and found herself in an entryway. It looked as if it had once been grand—the floor was cracked and stained marble, and high windows on either side were shielded with curtains. A little bit of light spilled through the lace, illuminating an enormous front door. Tessa’s heart leaped. She dived for the knob, seized it, and flung the door open. There was a narrow cobblestoned street beyond, with rows of terraced houses lining either side. The smell of the city hit Tessa like a blow—it had been so long since she’d breathed outside air. It was close to dark, the sky the dimming blue of twilight, obscured by smudges of fog. In the distance she could hear voices, the cries of children playing, the clop of horses’ hooves. But here the street was nearly deserted, save for a man leaning against a nearby gas lamp, reading a newspaper by its light. He turned, and looked down at her. Tessa stifled a scream. His face was as white and waxy as it had been the first time she’d seen him, at the dock in Southampton; his bulging eyes still reminded her of Miranda’s, and his teeth gleamed like metal when he grinned. It was the Dark Sisters’ coachman. Tessa turned to run, but it was already too late.